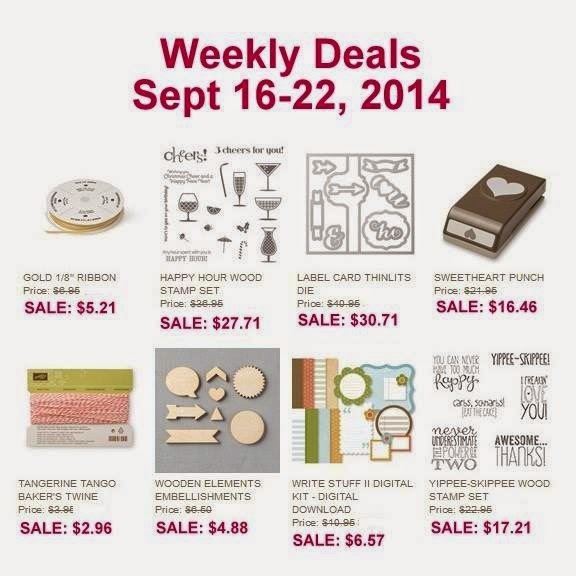 Weekly Deals are Here and There's a BIG STOCK & SAVE Sale tomorrow!!! Check back for more details! Leyla is a self-confessed crafting addict, amateur blogger, and brand new independent Stampin’ Up! Demonstrator! 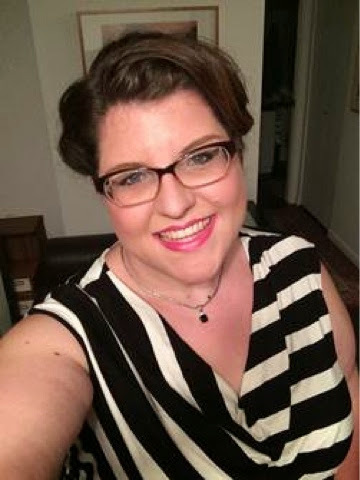 She lives in Vancouver, British Columbia, Canada, with her fiancé, their two dogs, and a pantry overflowing with rubber stamps and crafting supplies (particularly indulging her obsession with Stampin’ Up! and Lawn Fawn). She works full-time and lives a hectic lifestyle, but any spare moment she can find is spent exploring her new found passion of papercrafting. 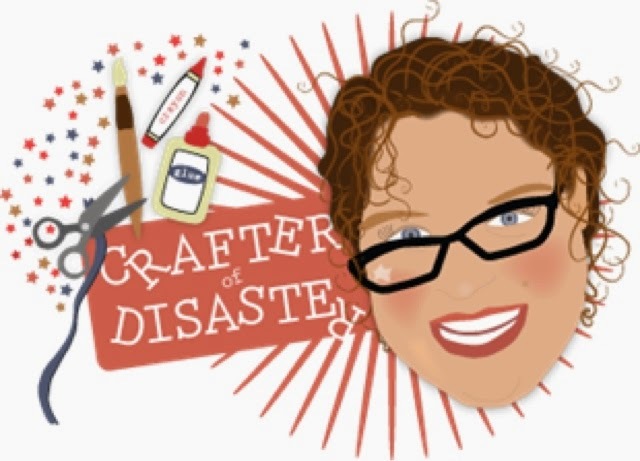 If you’re anything like her, your creative process can get a little… messy, meaning in a matter of hours, her condo can look like it’s been hit with a paper tornado and glitter grenades – a small price to pay for the enjoyment she gets out of it all. Stop by her blog at www.crafterofdisaster.wordpress.com - she does her best to fill it with ideas, information, and tutorials to help inspire you to embrace your creativity, no matter how chaotic, and if you let her, she can show you that what might start out as a crafting disaster can maybe, just maybe, turn into something pretty darn special. I can’t tell you how many times I’ve forgotten someone’s birthday. It doesn’t matter how long I’ve known them or how many birthdays we’ve celebrated together, I have a tendency to lose track of the days and find myself at the eleventh hour without a birthday card to show for it. Because this is actually a pretty common occurrence for me, I’ve started designing super straightforward greeting cards that can be made in ten minutes or less. 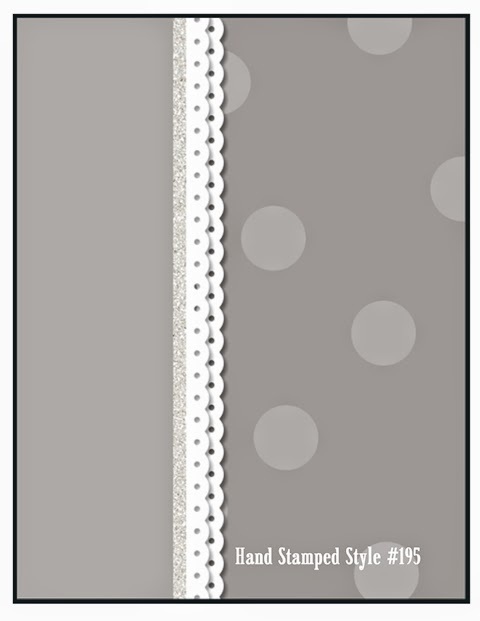 Today’s project is a sweet birthday card that took me just under seven minutes to create. 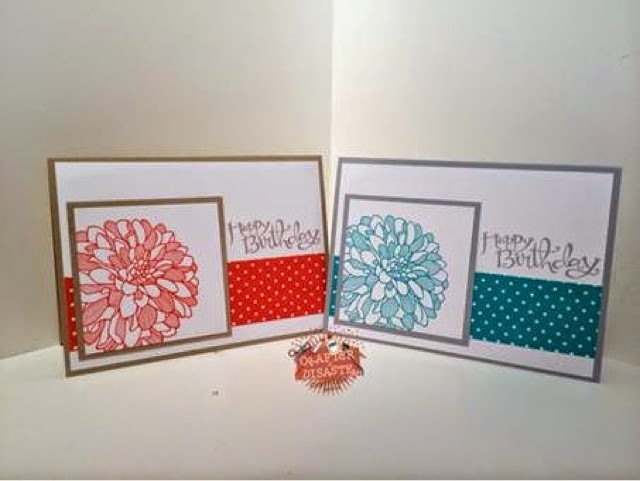 I’ve made two cards here, using different coloured cardstock and ink, to illustrate how easy it is to change up the look just by switching out the colours. With the stamp set mentioned below, you could even substitute the greeting for a ‘Thank You’, a ‘Feel Better’, or even a simple ‘Thinking of You’. The clean look and versatility of these cards makes them a nice gesture to an array of recipients. 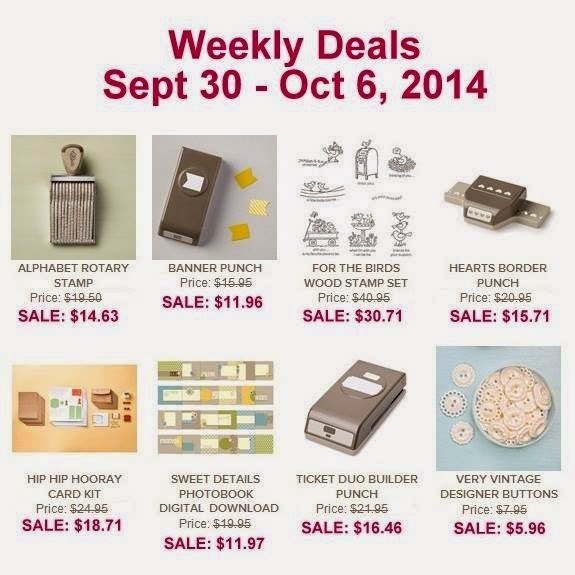 • Stampin’ Trimmer by Stampin’ Up! • Simply Scored by Stampin’ Up! This stunning card was sent to me by my upline Ann! Honestly, there is nothing better than getting one of these beauties in the mail! 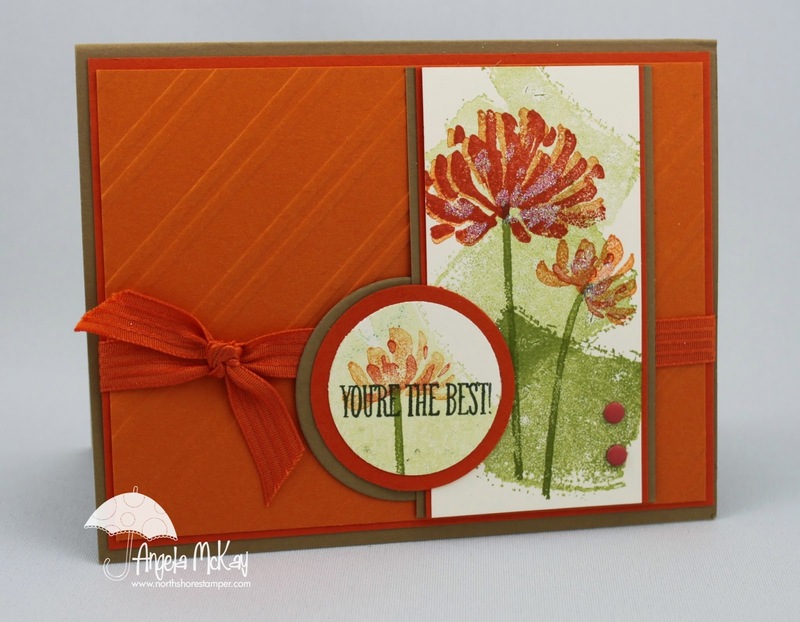 Make sure to head over and join us for this week's Hand Stamped Sentiments Challenge! I love the simplicity of this sketch! Today I'd love to introduce another amazing demo from my West Coast Creators Team... Debbie Freeman! 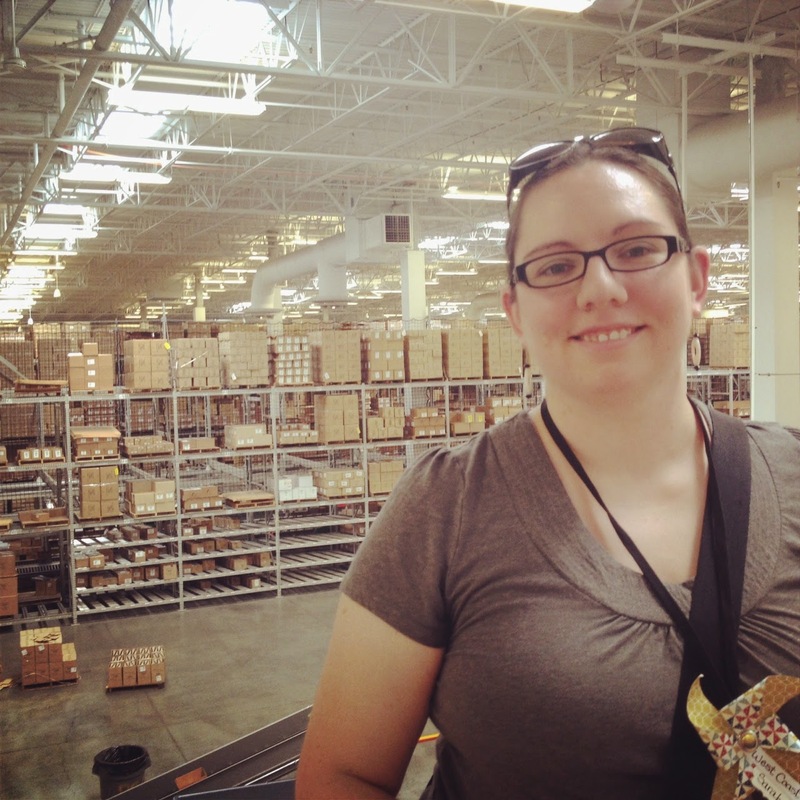 You'll love her project and the awesome instructions that she has provided! "Hi. My name is Debbie. Since retiring from nursing, I found that knitting wasn't enough to fulfill my crafty needs. Card making was the perfect fit. It all started with Ange's Trendy Trees Stamp-a-Stack. 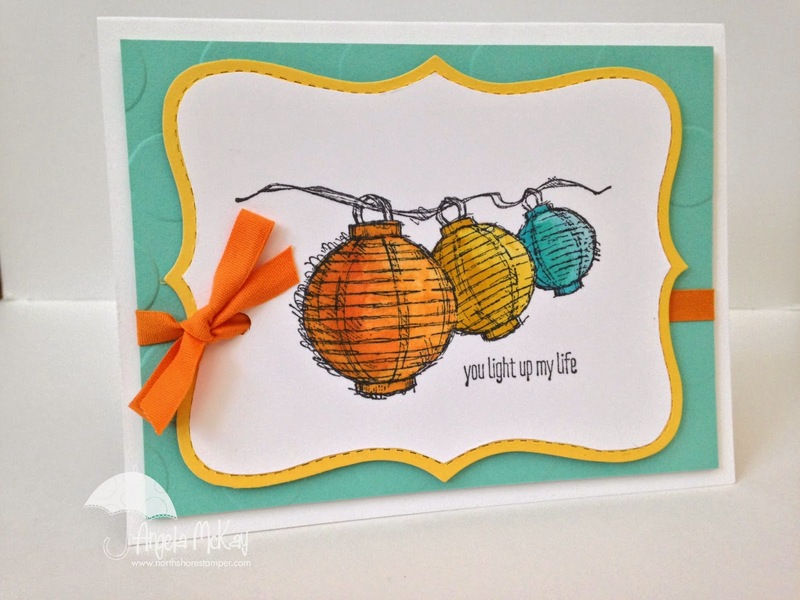 I learned from the best and so have been a Stampin' Up hobby demo on and off for a few years. Here is one of my cards. " I make stacks of Christmas cards to give to people I know but not well enough to knit for. :-) The Joyful Christmas stamp has been calling to me for a couple of years. However, the poinsettias required fussy cutting. I am not keen on fussy cutting. 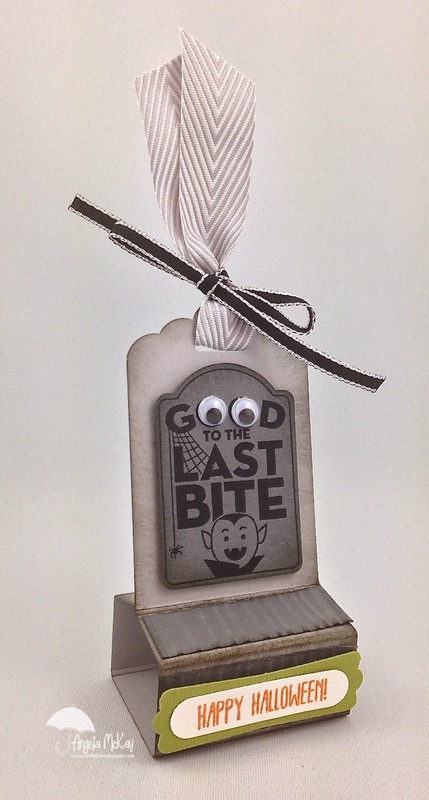 I finally CASEd this card from Pinterest: http://istampedthat.com/2011/12/20/last-christmas-card-of-the-year/. Cutting out the Pointsettis (and the leaves) actually wasn't hard at all. I even made two layers! I love the result. I even fussy cut the Cherry Cobbler frame for the Apothecary Framelit sentiment. I traced the outside of the Framelit, cut and got the perfect border. 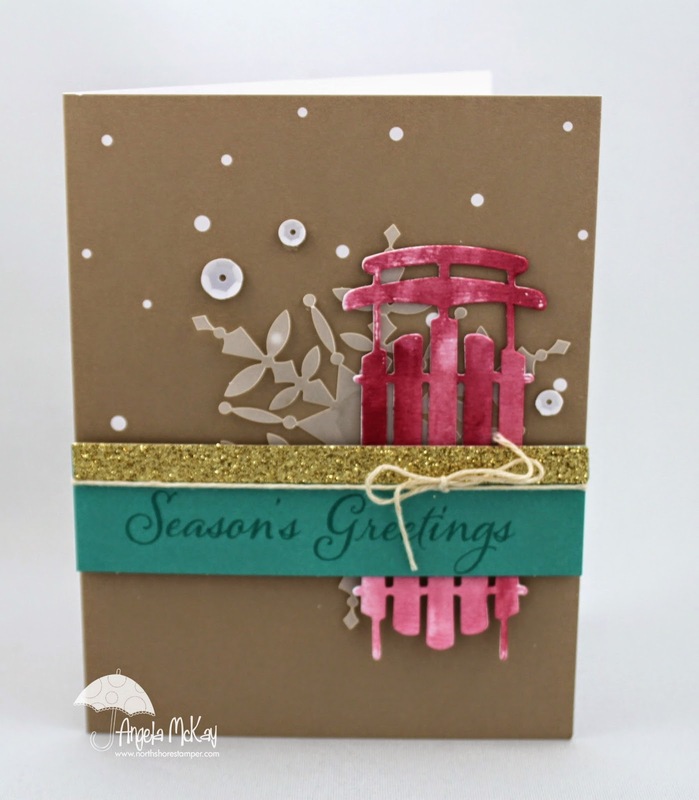 Although the stamp set is retired, Joyful Christmas is available in MDS. "Now I love making little treats for my friends. Hershey Nuggets are an all time favourite. They taste great and lend themselves to cute packaging. Labels: I start by wrapping stamped address labels around the Nuggets. In this project Happy Thanksgiving from Teeny Tiny Wishes is the center of each label. Scattering the lacy leaves from French Foliage over the entire sheet, I can mimic the dance of autumn colours. This set is the epitome of fall for me. Although it is now retired, I am glad the stamps are still available in an MDS kit called Autumn Spice. Once I made the pattern for the label sheet, I could print it over and over again. Box: The little box holds four chocolates. It's made with the Envelope Punch board. I had to fiddle with the score lines a bit. Starting with a 5"X5" piece of cardstock, punch and score in two places on each side. First side at 2 1/4" and 3 1/4", then turn and follow the score lines. Round the corners and stamp the outside. 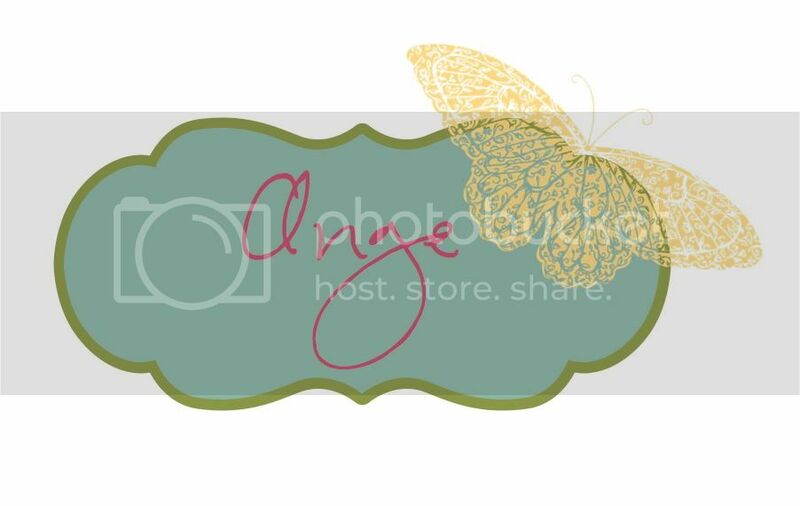 I used the sun rays and lovely leaves from Kinda Eclectic and found another set of leaves to use in Summer Silhouettes. The tabs are cut on either side of the widest side. Cut the tip off one of the wide flaps at the curve. 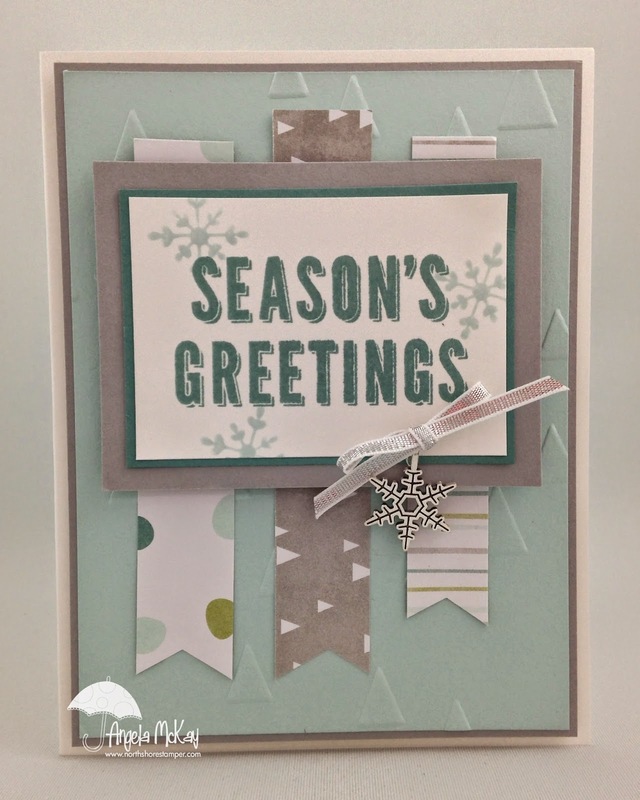 Closure: I punched the leaves from Kinda Eclectic with the Decorative Label on the Cherry Cobbler cardstock, added the sentiment and then sponged a little Tangelo Twist on the edges. I placed a couple of glue dots close to the bottom of the label. Loop the Linen twine sticking it into the glue dots before each of at least three loops. I needed to add another glue dot to stick the label onto the top of the complete flap in the center of the closed box, so the cropped edge can slide under the decorative label closure. Ink: Cherry Cobbler, Tangelo Twist, Hello Honey, Mossy Meadow, soft Sude, Momento Tuxedo Black. This Sunday September 21st from 1:30-3:30pm is my Holiday Catalogue Open House! I can't wait to see you there and share with you all the gorgeous products from this catalogue! 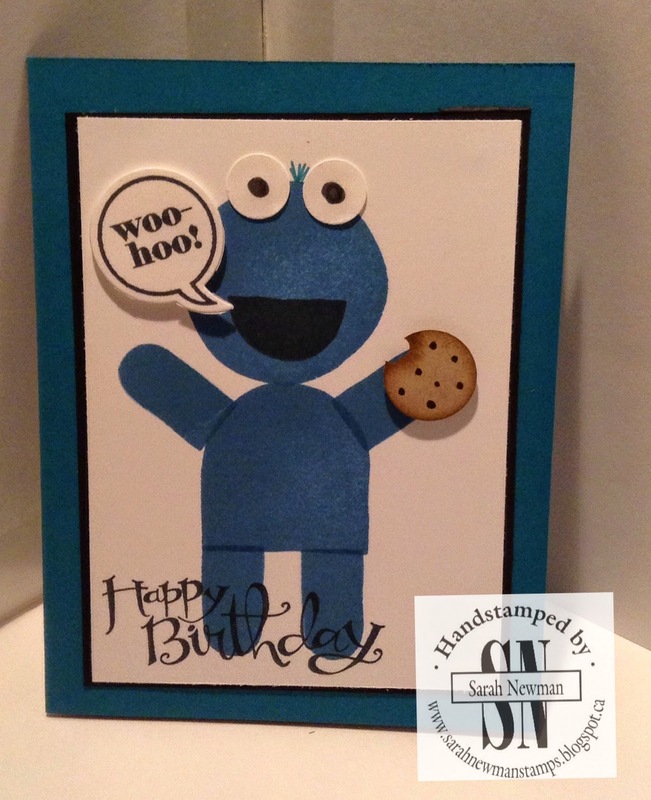 Please don't forget to RSVP so that I can have this gorgeous make-n-take prepped for you to create! I'll have my annual BOGO event where purchases from any current catty will qualify for an equivalent amount of free product from my retired table! I'll also have a few specials not even being offered by SU right now. 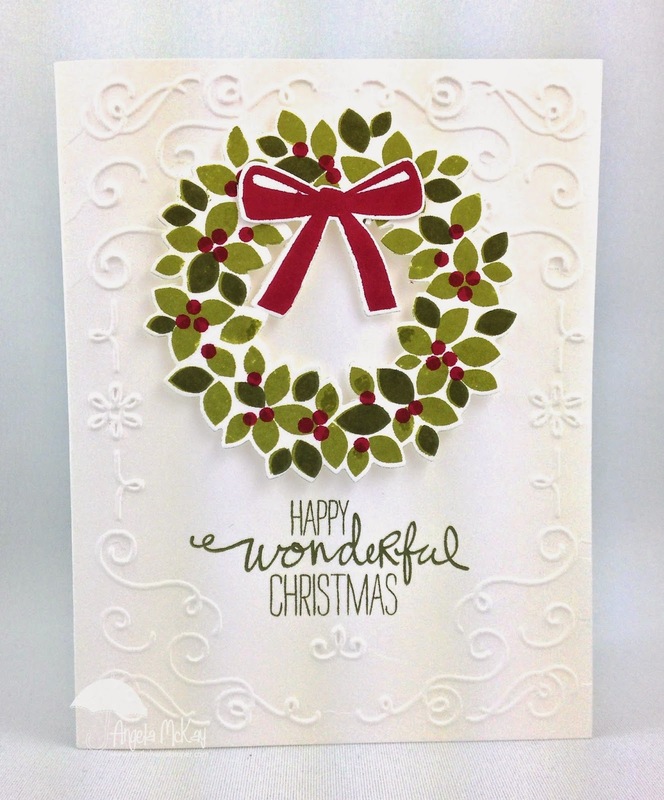 (Hint... do you love the Wondrous Wreath Bundle used in the card below... if so you want to be there to place your order! ) If you live out of town and would like to place an order of $50+ I'd love to mail you your make-n-take card to assemble at home and the same specials available to attendees! 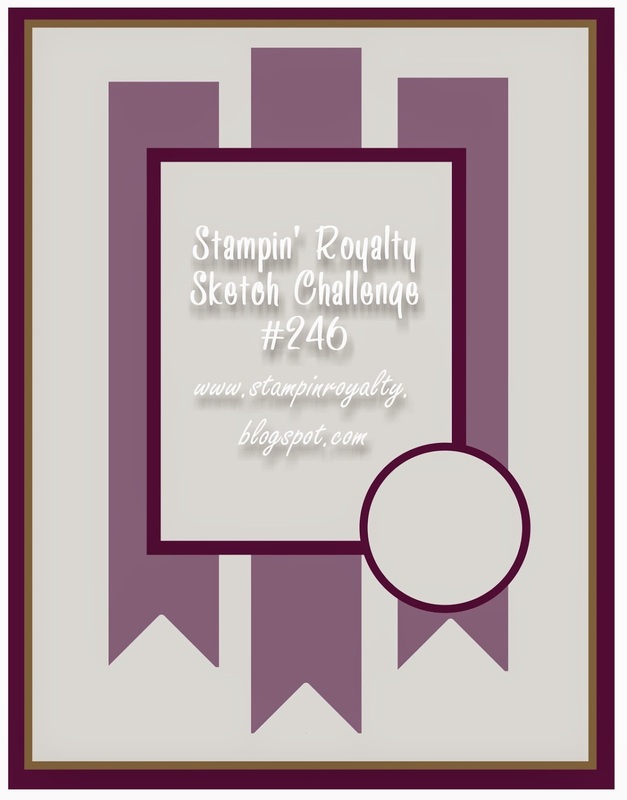 It's a great sketch challenge this week over at Stampin' Royalty! The best part about the new product suites in the Holiday Catalogue is that they all go together seamlessly!!! Make sure to head over and check out the other creations by our design team and then come and play with us!!! 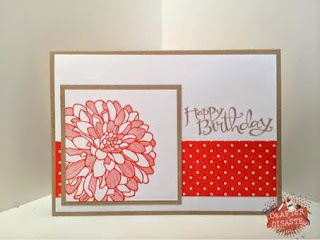 "I've been a Stampin' Up! Demonstrator for just over a year and love the social opportunities to make new friends and share what I love! I'm a working mom and have a 2 year old son who is my pride and joy! I enjoy being able to unwind after his bedtime with some card making and then keeping track of our family by scrapbooking! " 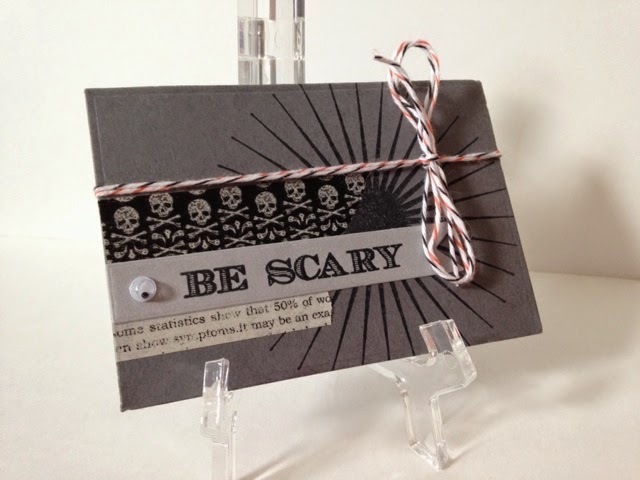 Here's what Sarah had to say about these AMAZING cards! 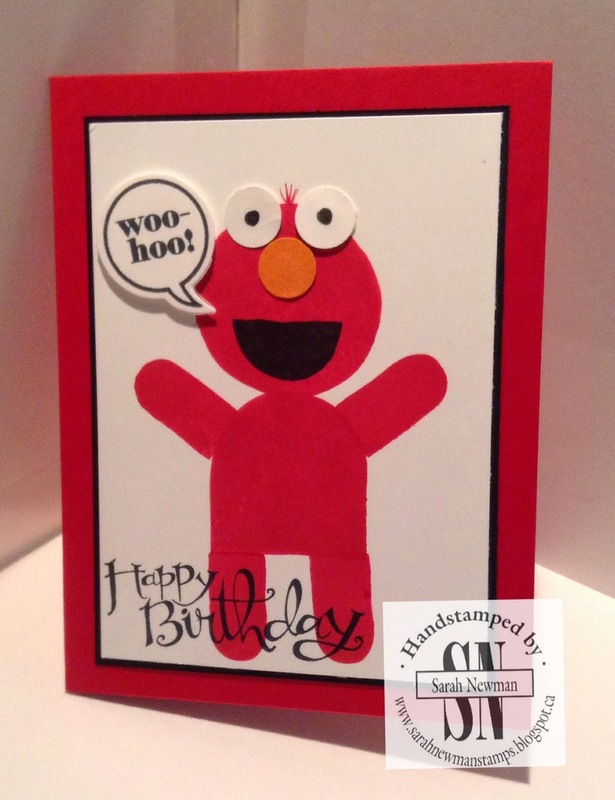 "My little guy is now OBSESSED with Elmo! So happy with how it turned out! " 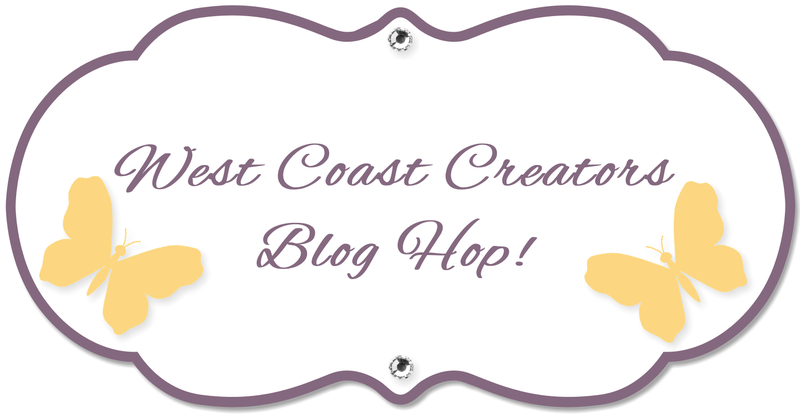 I'm so thrilled to be part of another West Coast Creators Blog Hop! The creativity from these ladies is AMAZING!!!! 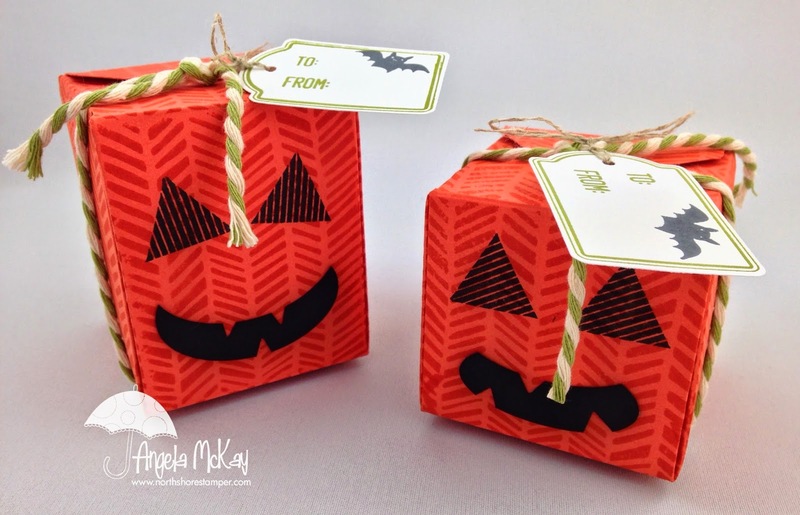 Make sure to head over to Lisa and Devyn's blog to check out their creations! Blendabilities Club Starts This Month!